Valentine’s Day is fun for everyone; not just those with a sweetheart. And the following Valentine’s Day Heart-y Hamburgers are perfect for family dinners rather than romantic dinners for two. You can easily make heart-shaped buns if you have an automatic bread machine; once the machine makes the dough while you do other things, all you need to do is roll it out and cut it with heart-shaped cookie cutters. 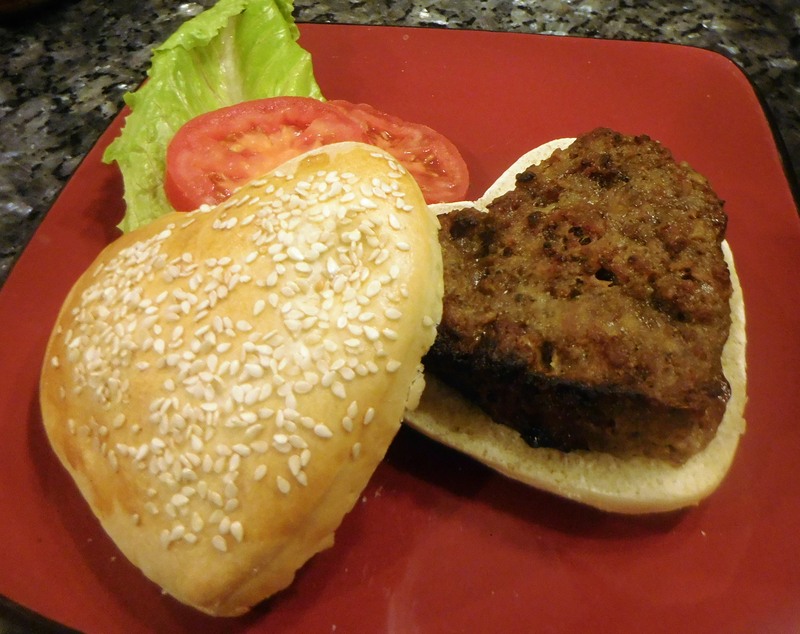 Ground beef is easily shaped into hearts, and if, for dietary reasons, you’d rather, they can be made with ground chicken or turkey. You can grill, broil, or sauté the burgers, and of course serve them with the traditional condiments. A good size is four burgers to a pound of meat. If you’re in a hurry, you can purchase round hamburger buns and trim them into hearts. Store-bought buns aren’t as good, but they are pretty fast, and nowadays most of us want to spend as little time in the kitchen as possible. If you can make the time, however, it is well-worth it – homemade buns are delicious. Place the ingredients for the dough in the pan of an automatic bread machine in the order given. Turn the bread machine to the dough setting and start the machine. Check after a few minutes to make sure that the ingredients have formed a ball. If the ball is stiff, add more water; if the ball is very soft, add a little more flour. When the cycle is over, transfer the dough to a lightly floured pastry cloth. Roll out to about 3/4" thick and, using a 3" heart cookie cutter, cut 12 buns, rerolling scraps; place on parchment covered baking sheets. Beat the egg and milk until smooth; brush the rolls with the mixture and sprinkle with sesame seeds. Let rise until double, then bake at 350° until lightly browned. for pink rolls, add a generous amount of red gel coloring to the dough before starting the cycle.